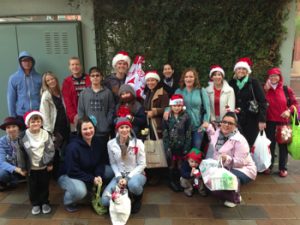 Join our Gifts for Strangers flash mob to spread a little holiday cheer! For many, the holidays are a stressful time and a lot of people get away from the joy of the season. Gifts for Strangers was started a few years ago by Improv Toronto to spread cheer to others. Twenty-three cities participated in this last year. We’re joining in the fun this time around! So here’s how it works – we’re going to gather on the afternoon of December 15th in a location where we will likely run into lots of random people (specific location TBA) and give small gifts to people we don’t know. 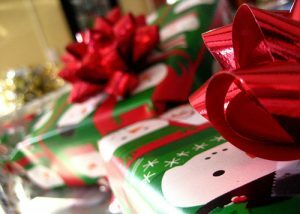 Everyone who wants to participate is expected to bring 5 – 10 small wrapped presents to give away. Don’t spend a lot of money on them. These should be small, personal gifts that you think will make someone smile. Maybe you make it yourself, like some art or a mix CD. Think about what might make your day a little bit brighter if a stranger gave it to you out of the blue? We just want to spread some holiday cheer to people who may not be expecting it! 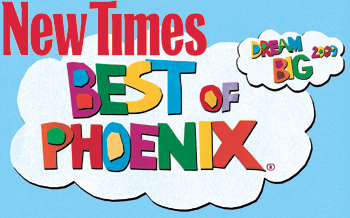 If you want to join us doing it here in Phoenix, let us know in the comments and watch our blog for more details. You can also RSVP at the Gifts for Strangers Facebook event! We are meeting at the Light Rail Station at 3rd Street and Washington at 1:00pm! Read more.